One person is dead after a mid-air​ collision involving two small aircraft in the rural Ottawa community of Carp. 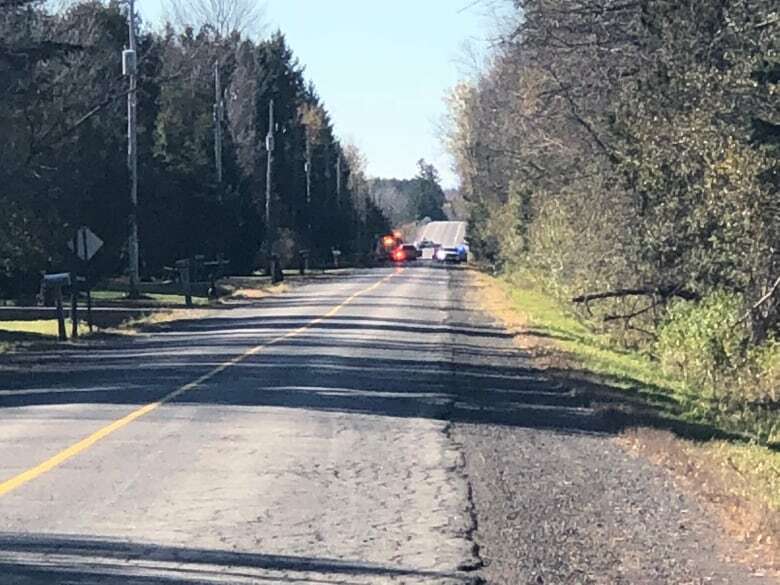 One person is dead after a mid-air​ collision involving two small aircraft Sunday morning in the rural Ottawa community of Carp. Police said one of the planes crashed near McGee Side Road. The second plane, carrying two people, was redirected to the Ottawa International Airport, where it landed safely. The occupant of the aircraft that crashed, a Cessna 150, died at the scene due to critical injuries, paramedics said. Those on board the second aircraft were not injured. 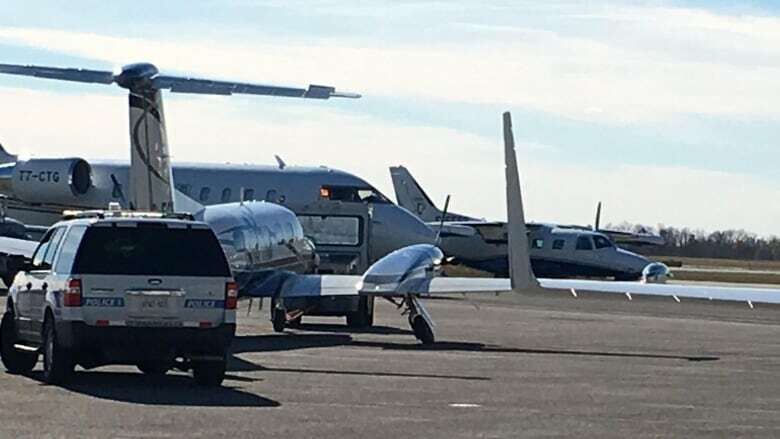 The pilot of the second plane, a twin-engine 11-seat Piper Cheyenne, reported to air traffic control that the first aircraft hit the bottom of his plane and affected his right landing gear. The incident happened around 10 a.m.
Edouard Marava was driving past Carp with his wife when they spotted two planes flying above a forested area — and then collide. "The first one that hit the other started spiralling down toward the forest, and we lost sight of it," Marava told CBC News. "We weren't sure if it was some kind of practice for an aerial show or something, so we didn't really panic at that point. But when we saw all the police cars, the emergency vehicles — then it kind of clicked that something had happened." After the crash, police closed off a section of McGee Side Road between the westbound off ramp of Highway 417 and William Mooney Road and asked commuters to avoid the area. "The scene has been rendered safe," said Ottawa Police Service Insp. Rob Bernier. The Transportation Safety Board "will be taking carriage of the investigation," he added. Paramedics, firefighters and police all attended the scene. Investigators with the TSB also arrived at the crash site Sunday afternoon. 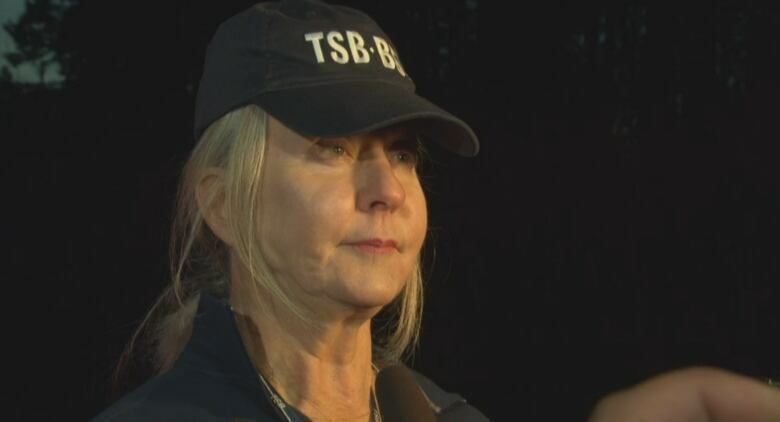 "It's very rare to have a mid-air collision, but it happens," lead investigator Beverley Harvey told reporters. Harvey said the TSB would be taking photos of the wreckage and bringing the aircraft to their laboratory in Ottawa for further testing. Experts will be going over the two planes "tooth and nail" to figure out how the crash happened, Harvey said. "We're looking at the environment, the weather, to see if there's any weather issues. We look at any regulatory infractions. We look at everything," she said. Harvey said the board would make a statement if investigators immediately noticed any public safety issues. Larry Vance, a former investigator with the TSB, told CBC News that when a mid-air collision happens, it's likely going to take place near an airport like the one in Carp, which doesn't have air traffic control. 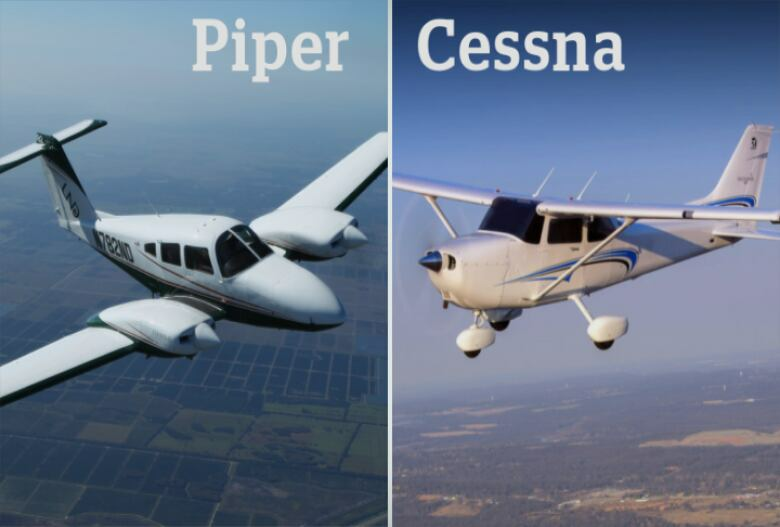 Vance also said a "high-wing" aircraft like a Cessna 150 restricts a pilot's ability to see directly above, while a "low-wing" aircraft like a Piper Cheyenne makes it harder for its pilot to see what's going on beneath them. He speculated that the wing placement of the two planes may have been a contributing factor in the crash. "These airplanes were operating in an environment where it's basically 'see-and-be-seen,'" Vance said. "They're supposed to report in. They're supposed to know that there's other airplanes in the area. But there's nothing technology-wise to keep these airplanes from hitting together." Vance said that without air traffic control, pilots are supposed to communicate by radio "their positions and their intentions" to one another. Sunday's crash was the second in the area in the past three weeks. On Oct. 16, a pilot crashed his small plane near the corner of Howie and Old Almonte roads and suffered a serious head injury. Mackenzie Bice, who lives near where the plane went down, said she returned from church Sunday to see emergency vehicles lining her street. "I was kind of worried and [called neighbours] to see who else knew information about it," Bice said. "It's kind of scary, because I don't really know what happened." Carp is approximately 30 kilometres west of downtown Ottawa.